Note that we offer a special weekend rate on all our gear: pick it up on Friday after 3:00PM and have it back on Monday by noon and you only pay for one day’s rental. Canon Vixia HF G20 True video enthusiasts and advanced amateurs will find their inspirational match in the new VIXIA HF G20. 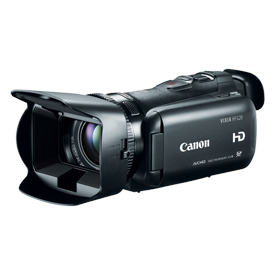 Designed to rival pro-level camcorders in image quality, it's equipped with a Genuine Canon 10x HD Video Lens with 8-bladed iris for stunning quality video and soft, beautiful background blur. The camcorder's Canon HD CMOS Pro Image Sensor provides extraordinary flexibility with extended dynamic range, enhanced gradation, and significantly more light capture for 20% improved low-light performance. 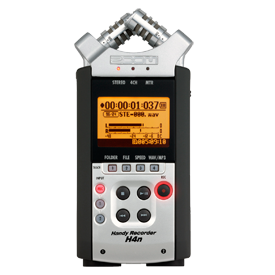 Zoom 4HN Recorder Rugged, lightweight and versatile, the H4n is a great audio companion for everything from live concert recording to location videography to music-making. 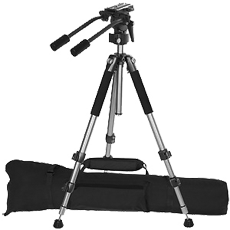 Ensure your video shoot goes perfectly with a tripod that offers smooth panning and tilting. 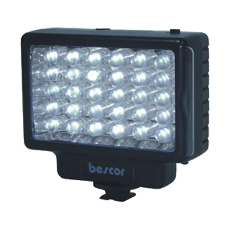 LED On-Camera Light Get the light right where it's needed most! 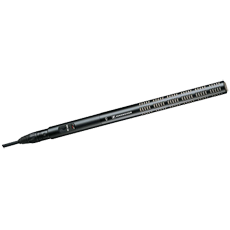 This light is perfect for for on-camera applications with small cameras, offering a small size and an adjustable head. 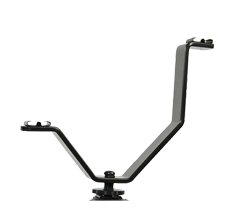 Make sure your lights and sound are right where they should be with this dual sound and light bracket. 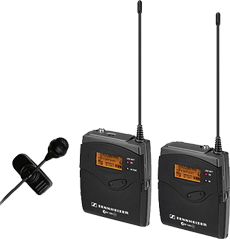 Perfect for reporting, film and broadcast shooting, the Sennheiser shotgun microphone helps you make sure that your subjects are heard clearly and with a minimal amount of background noise.